The EPA’s enforcement of violations of environmental laws and regulations at federal facilities is a complicated business that has been addressed by the U.S. Supreme Court (Ohio v. United States Department of Energy, 1992, which affirmed federal facility sovereign immunity with respect to the Resource Conservation and Recovery Act (RCRA)), presidential Executive Orders, and by the federal laws themselves. For example, the laws allow that the EPA may address violations at federal facilities in the same manner as private facilities. But the nature of this authority is generally limited under what is called the Unitary Executive Theory. Under this theory, an agency of the executive branch of the federal government may not undertake civil judicial enforcement in the federal courts against another executive branch agency because the executive branch may not sue itself. However, the EPA is not prohibited from undertaking administrative enforcement against a sister agency. Administrative enforcement typically consists of issuing a Notice of Noncompliance (NON) or Notice of Violation (NOV) and ordering an agency to come into compliance, for example, by cleaning up a Superfund site. Also, federal facilities may be subject to monetary penalties for violation of federal laws. For example, the Federal Facility Compliance Act of 1992 (which overturned Ohio v. DOE) amended RCRA to clarify that the DOE and all other federal facilities are subject to penalties, fines, permit fees, reviews of plans or studies, and inspection and monitoring of facilities in connection with federal, state, interstate, or local solid or hazardous waste regulatory programs. In passing the Act, Congress took the position that the federal government should be subject to the same enforcement as the private sector. The Safe Drinking Water Act (SDWA) includes similar language regarding federal facilities, but most other federal environmental laws do not include such specific provisions. The EPA describes the components of enforcement against a federal agency here. Regarding federal facilities, following are some of the enforcement authorities the EPA possesses under the major environmental laws. The Clean Air Act authorizes the EPA to issue a unilateral compliance order or to negotiate a Federal Facility Compliance Agreement (FFCA) with noncomplying federal facilities. 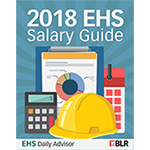 The EPA may assess civil administrative penalties of up to $37,500 per day, per violation against federal agencies for noncompliance. The Clean Water Act (CWA) does not authorize imposition of civil punitive penalties (penalties for past behavior) against federal facilities because the United States is not a “person” under the CWA. However, the EPA may use the full range of CWA enforcement tools against private entities contracted by a federal agency if they, for example, discharge pollutants into waters of the United States or violate the terms of a permit. Under the Comprehensive Environmental Response, Compensation, and Liability Act, the EPA may issue administrative orders and enter settlements for abatement actions. However, EPA abatement, access, or information gathering orders issued to executive branch agencies require the concurrence of the U.S. attorney general. Federal facilities are required to comply with all provisions of the Emergency Planning and Community Right-to-Know Act (EPCRA). However, federal agencies are not subject to enforcement and penalty provisions. When the EPA finds a federal facility is in violation of EPCRA, it may provide written notification to the facility of the violation, and the facility must achieve compliance as soon as practicable. The EPA may also develop a FFCA with the violating federal facility to ensure it achieves compliance. Historically, EPA has not assessed civil penalties against federal agencies for violations of the Federal Insecticide, Fungicide, and Rodenticide Act. “As a matter of practice, given the current state of the law, EPA does not intend to pursue such penalties,” the Agency states. 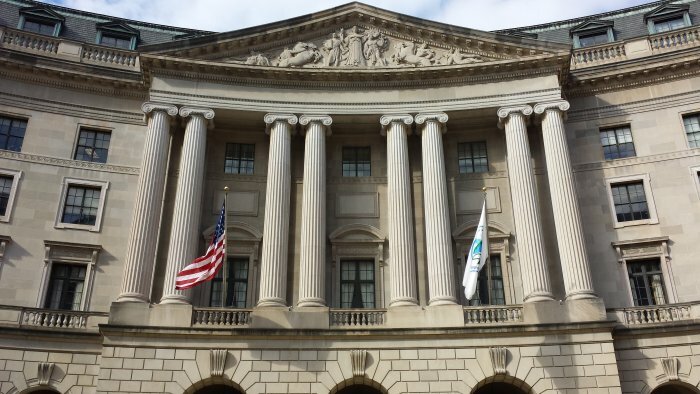 The EPA adds that it will typically negotiate an FFCA with federal agencies that are in violation of Federal Insecticide, Fungicide, and Rodenticide Act (FIFRA) requirements. The 1996 SDWA Amendments provide the EPA blanket authority to issue penalty orders to federal agencies for violations of any requirement of the SDWA or a requirement or schedule imposed by an administrative compliance order, an imminent and substantial endangerment order, or other administrative order issued under the SDWA. The Toxic Substances Control Act (TSCA) does not confer penalty or order authority to the EPA against federal facilities, except for violations of the lead-based paint requirements (Title X of the Residential Lead-Based Paint Hazard Reduction Act of 1992). To address noncompliance at federal facilities, and once a decision is made that the violations merit a formal EPA enforcement response, the EPA generally issues an NON or an NOV and negotiates an FFCA. The EPA’s enforcement authorities at federal facilities, including criminal enforcement authority, under these and other environmental statutes are described in more detail here.